Have a question? 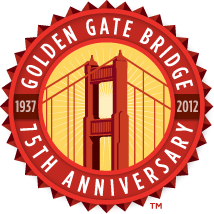 Explore the Events Calendar for a list of the remaining Golden Gate Bridge 75th Anniversary events. Still can't find your answer? Check the list of contacts below and send us an e-mail. The length of wire in the two cables is 80,000 miles. If it were one wire, it could circle the Earth at the equator three times.